Fight fatigue with rejuvenatingBoost Oxygen® Natural, 10 L . Safe, all-natural supplement is 95% pure oxygen to help enhance mental alertness without the caffeine or sugar found in energy drinks. 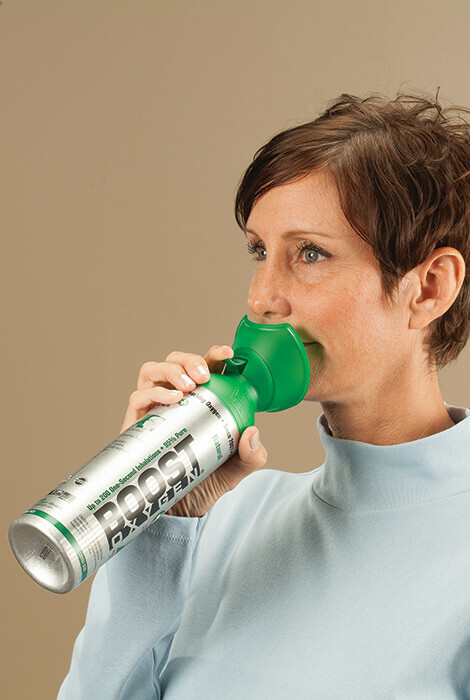 Simply place the built-in mask near your nose and mouth, press the canister's lever to activate flow, and breathe deeply through your mouth. As your body's cells are replenished with clean, odorless, tasteless oxygen, you may experience increased stamina and focus. 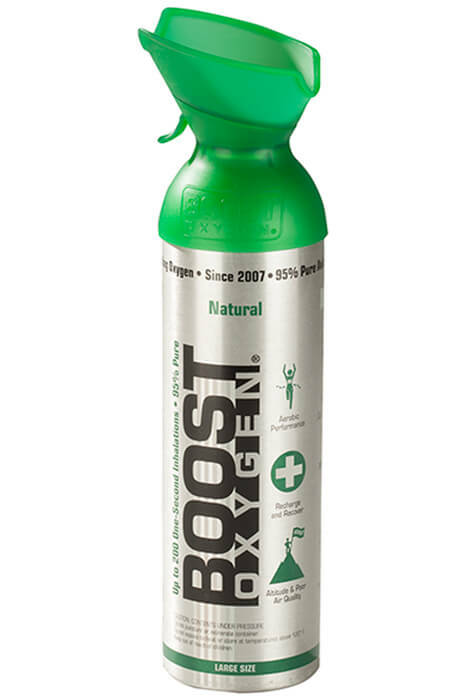 Contains 10 liters of Aviator's Breathing Oxygen, equaling approx. Approx. 200 seconds of continuous oxygen flow or approx. 200 one-second inhalations. Helps enhance mental alertness without caffeine or sugar. Approx. 200 seconds of continuous oxygen flow or approx. 200 one-second inhalations. why is 95% O2 good for a person? BEST ANSWER: Thank you for your question. Ninety five to a hundred percent is considered a good oxygen level for a human. Anything below ninety percent is dangerous. We hope this information will be of help to you.